Flood water damage is among the most frequent issues that a home-owner is likely to experience. Water damage, when it happens, can be both quick and dramatic. One minute your house is fine – and in the next you have a tremendous water problem. A prompt solution is the key to reducing or removing the loss in water damage. Treating the damage right away can often reduce restoration costs, along with reduction of mold growth and other contaminants associated with water damage or flooding. In the event the clean-up process isn’t started immediately, water starts to evaporate on its own. The air absorbs this evaporated water and redistributes the moisture to other things like ceiling tiles and dry-wall. The outcome is secondary damage. If the water damage your home is experiencing is plumbing or weather related, you should call AllStates Restoration immediately. We know the concern and stress that you’re feeling since these problems are in your home. Let us help. Our IICRC (Institute of Inspection, Cleaning and Restoration Certification)-certified technicians are available 24-hours-a-day, 7 days a week to take care of your water damage emergency. Our knowledgeable team will do more than just remove the excess water from your property. In addition they possess both the proper knowledge and equipment to dry out your home so it is completely returning to its safe, pre-loss condition. Equally important, we guarantee all of our services. If one of our services is not done right for any reason, we will come back, fix it and make it right, Guaranteed. When you have a water damage problem in your home, call us for a free consultation, inspection and estimate. AllStates Restoration offers 24-7 Residential Water Damage Service, every day of the year. Call today! To schedule your NJ Residential Water Damage Consultation, Evaluation and Estimate, Call Today! 732-722-5211 or click here. 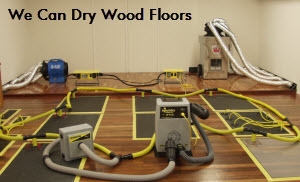 Water extraction are used to thoroughly remove water from your floor surface. From estimation to completion, our experienced team is well prepared to handle your home’s water damage cleanup and restoration needs. With our help you can rest assured that your assets will be-saved and damage kept minimal. The main thing our trained technicians will do is use specialized equipment to determine just how severe your water damage problem actually is. Once they’ve evaluated the damage, they’ll remove the standing water from your property. Inside Home or Flooded Basement: We try to get there within 60 minutes when the water damage is inside your home. Our technicians will pump-out/vacuum up water and use an ‘extractor’ to remove water from wooden floors. Furniture will be taken out of affected areas or put up on blocks. If the water damage is from dirty water, carpeting will likely have to be thrown away, however if the water is clean we’ll dry out the carpet and pads if we can. Carpet pads are thrown away in many cases because it is cheaper sometime to replace than dry them. If there is water damage affecting a wall we will remove the baseboard and drill small holes in the wall and install wall heater. This can allow hot air to dry out the wall. 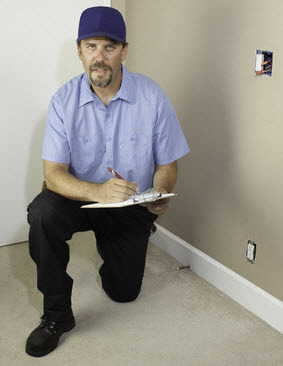 Under Home or Crawl Space: First we turn off your water. Next we vacuum up water so that things are no longer soaking wet. In the event the problem was the result of a broken pipe, we’ll make sure that a plumber can access the pipe and make the repair. Once the pipe is fixed we’ll remove the contaminated soil if needed, spray anti-microbial and then replace the bad soil with new, fresh soil. Our technicians take the time to do the job right. AllStates Restoration has the highest industry certifications in Water Loss Management. Our IICRC-certified field technicians are capable of drying a home completely back to its pre-loss condition. They can handle any size or type of job using advanced drying processes to restore soaked structural materials to their original condition. The same drying techniques can be utilized to inhibit the growth of harmful pathogens like mold and mildew while saving furniture, electronics, flooring and documents. Our vast inventory of state-of-the-art drying and dehumidification equipment includes anything from water extractors, water pumps, air-movers and dehumidifiers, to dry out large properties. Our experienced technicians will take the time to carefully assess every perimeter of your home to be sure the job is complete before they leave. 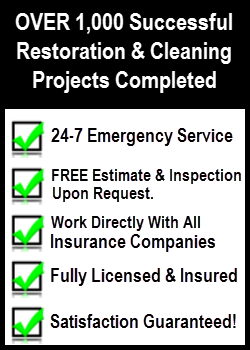 Since 2008 we’ve helped restore hundreds if not thousands of water damaged homes throughout New Jersey, New York, Pennsylvania and Connecticut. Falling rainwater; and Broken toilet water tanks and toilet bowls that do not contain contaminants or additives. Clean water that has contact with structural surfaces and content items may deteriorate in cleanliness as it dissolves or mixes with soils and other contaminants, and as time passes. Category 2 Water – Water that contains a significant degree of chemical, biological and/or physical contamination and having the potential to result in discomfort or sickness if consumed by or exposed to humans. Category 2 water is also often called “gray water.” Gray water contains microorganisms and nutrients for microorganisms. Gray water could have chemicals, biocontaminants (fungal, bacterial, viral algae) along with other forms of contaminants ination including physical hazards. Time and temperature aggravate category 2 water contamination levels significantly. Gray water in flooded structures that is still untreated for longer than 48 hours may change to category 3 – black water. Category 3 Water – Grossly unsanitary water containing pathogenic agents, arising form sewage, flooding or other contaminated water sources and having the possibility of causing discomfort or sickness if consumed or in contact with humans. Black water includes sewage and other contaminated water sources entering or affecting the indoor environment. Category 2 water that isn’t removed promptly from the structure may be reclassified as category 3 water. Toilet back flows that originated beyond the toilet trap are viewed as black water contamination, inspite of visible content or color. Rising water from streams or rivers. Such water sources have sewage and organic matter into structure building and create black water conditions. [wc_box color=”inverse” text_align=”left”]If you’re currently experiencing water damage loss here are several first-aid cleaning & restoration tips.